A big thank you to those that helped in this year's spruce-up before the start of the new school year. 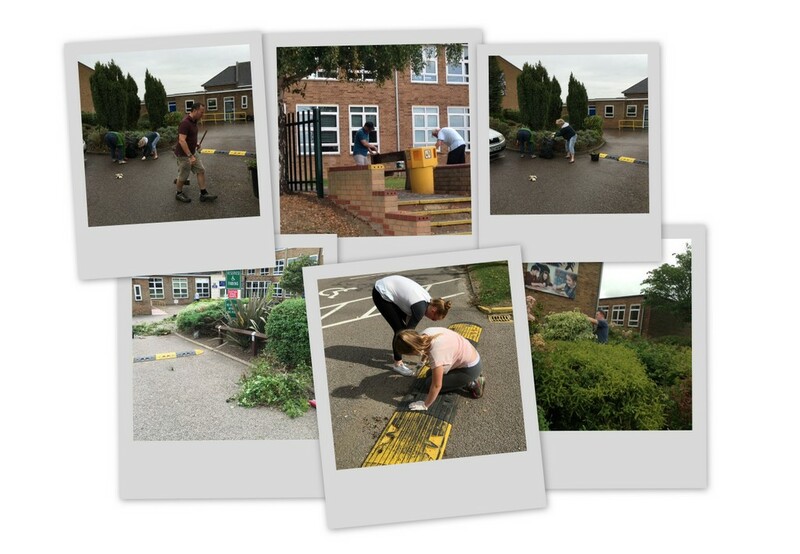 We stained, swept, painted, pruned and weeded like champions - and the school looks that little bit better for it. Thank you (in no particular order) to Andrea, Steve, Maria, Adrian, Louise, Elliot, Rebecca, Georgia, Dave, Phil, Jon, Jo and Linda - and Alan Davies (Assistant Head and SISA link). If you'd like to take part in future spruce-ups, just register your interest on the following form or email sisa@stivoschool.org. We'd be delighted to see you. St Ivo School Association 2015. Powered by Blogger.